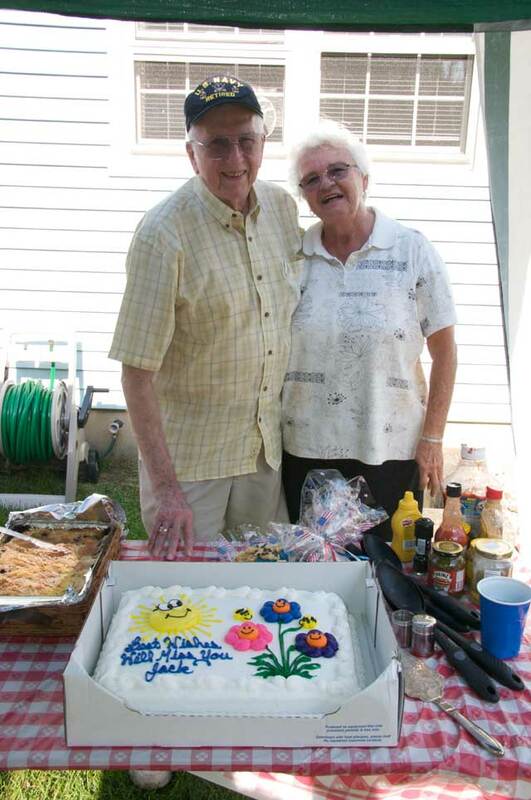 Jack and Marge at the 2008 Club BBQ right before they retired to Florida. treasurer for many years. He was greatly missed when he retired to Florida. Jack Bidwell passed away August 30, 2016. He was born in Dunmore, PA and lived in Brielle, NJ and retired to Atlantic Beach, FL in 2008. He proudly served in the US Navy during WW II and retired after 22 years. He became the owner of an Art Gallery in Manasquan. A member of Hadji Shriners, and a Master Mason of Ocean Lodge and life member of BPOE in Manasquan. Jack is survived by his loving wife, Marge (nee Herche) and four sons Rob (Ginger), Frank (Edith), Mark (Deb), Ken (Nadine), 6 grandchildren and nine great grandchildren. He was predeceased by his wives Isabelle and Loretta.